On December 17, 1963, Waldo Yellowrobe, Jr. “Mo’kohtavevaotseva” was born to Beatrice (Whitebird) and Waldo Yellowrobe, Sr. who preceded him in death. He went to be with his Lord and Savior Jesus Christ on February 1, 2019 in St. Paul, MN where he worked and lived for several years. He attended Lame Deer Public School and the Northern Cheyenne Tribal High School in Busby, MT. His sons, Wilbur and Brandon, who survive him were his pride and joy with dreams for a better life. He loved riding horses, taking in sights wherever he traveled, and enjoyed activities his sons were involved in. He found great satisfaction working as support staff at a half-way house where he helped those in recovery. Those who survive him are his friend and large family: Sons Wilbur, (his mother Leah (Goodbird) Yellowrobe who also precedes him in death) and Brandon and mother, Mary Sanchez. His brothers and sisters: Cassandra (Stanley) Moore, Marie (Rod) Smart, Neil (Andrea) Marion, Paul (Tamara) Eddins, and Shawn (Brooke) Spruce, Lloyd (Helen) Yellowrobe, Lenora, Gary, Hank, Ricky (Janet) Wolfname: Linda Brady, Keith, Ronette and Charlyn, R.D. and Beverly Bailey; Kristy Barber, Carla LaRose, Collette Yellowrobe and Rolette Mast, Anita, Cheryl Ann, and Wallace (Tammy) Bearchum Jr., Adrian, Benedict, Frank (Kia), Shanon and Quinndalyn Shoulderblade, Contessa, Vanessa, Windelyn Jr., Timothy II, Renessa, Scott, Julius, Anthony, Titus Jr., Isaac, Jordan, Billie Jo, and JuliaMae Shoulderblade; Christopher and Robert III Pine; Keith McRae, Tristan LaRance, Rutherford, Charles, Sharlene and Farrell Evans; Aretha Hoops, Daniel, Jr. and Patricia Whitewolf; LaVonde and Martin Sierra, Bruce Spang, Carmen Spang-Klotz, Jerry and Katalin Walker; Wendell, Bruce, Clifford, Yvonne, James, and Henry Wolfblack; Colwash, Clara Whitecrane, James and Lynwood Hisbadhorse; Roseanne Headswift, Marcian, Anthony, Velicia, Philbert and Frederick Killsnight Jr., Judith Tallbull, Lisa and Roger Redhat, Dedoris Huber, Eugene, Oran Charles, Benno Big Back, Eugenia and Ken Duhart; Jerry American Horse II, Rilla (Quentin) Kingfisher, Michael and Dalena Guavera. His aunts and uncles: Bernice Mast, Mary Fae Bailey, Norman (Clarice) Spang, Leonard (Violet) Wolfblack, Phyliss Fisher Spang, his mom Magoo Shoulderblade, Alonzo Walker, Max Guavera, and John Woodenlegs. Waldo, Jr. was a fifth generation descendent of Chief Dull Knife. We give tribute to our family who have gone on before. His great-grandparents: Jules and Mary (Dull Knife) Seminole, Milton and Rose (Coalbear) Whiteman. His grandparents: Davis and Alice (Seminole) Bailey; George and Julia (Redwoman) Whitebird; James and Julia (Yellowhorse) Shoulderblade. Our families (not noted as those gone on before): Adams, American Horse, Bahr, Bailey, Baker, Bearchum, Bearcomesout, Beartusk, Beaverheart, Bellymule, Bement, Big Back, Big Hawk, Bigheadman, Brady, Braided Hair, Brien, Burgess, Busenitz, Charette, Chavez, Clown, Colwash, Crazymule, Curley, Demaray, Dillard, Divesbackwards, Dreamer, Duhart, Eagleman, Elkshoulder, Firecrow, Fisher, Flying, Foote, Freeman, Gallego, Glenmore, Gondora, Goodbear, Guavera, Harris, Hart, Haugen, Headswift, Hisbadhorse, Hiwalker, Hoffman, Holiday, Horn, Jackman, Killsnight, LaFranier, Limberhand, Limpy, Lira, Littlebird, Littlecoyote, Littleoldman, Long Jaw, Long Roach, Lovato, McManus, Medicine Elk, Medicine Top, Morrison, Nason, Nanez, Neiss, Onebear, Ortega, Palmer, Parker, Paul, Perez, Pine, Posey, Price, Red Fox, Redcherries, Redhat, Redneck, Risingsun, Robinson, Rondeau, Roundstone, Rowland, Runsabove, Russell, Sandcrane, Seminole, Shoulderblade, Sierra, Sioux, Small, Soldierwolf, Sooktis, Spang, Spang-Klotz, Speelman, Spotted Elk, Spotted Wolf, Standing Elk, Strange Owl, Stuart, Stump, Swank, Tallbear, Tallbull, Tallwhiteman, Taylor, Teeth, Timber, Tom, Three Fingers, Two Moons, Two Two, Vassau, Walker, Walks, Walksalong, Waters, Weaselbear, Wheeler, Whistlingelk, White, Whitecrane, Whitedirt, Whiteman, Whitewolf, Williams, Williamson, Wilson, Wolfblack, Wolfname, Wolftooth, Wood, Woodenlegs, Yellowfox, Yellowrobe, Youngbear. Accept our apologies for those we may have missed. 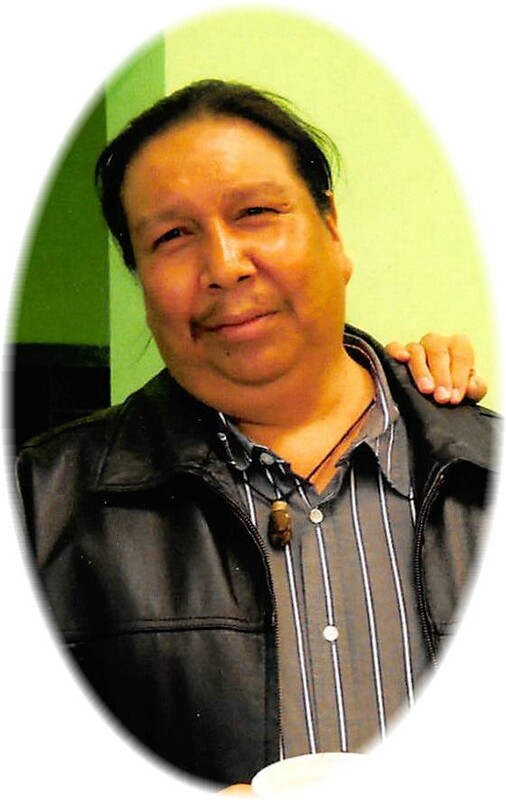 THE NORTHERN CHEYENNE CHIEF COUNCIL EXTEND THEIR CONDOLENCES TO THE FAMILY OF WALDO YELLOWROBE AND PRAYERS FOR STRENGTH DURING THIS MOST SAD, SORROWFUL AND MOURNFUL TIME FOR THE LOSS OF A BELOVED LOVE ONE. May your family find strength and comfort in the condolences of your family and fellow well-wishers. Condolences to Cassie and family. My prayers for my brother Waldo’s sons Wilbur & Brandon, “your dad loved you both very much, he always talked about his sons with pride”, he was a good brother, he had a great laugh, and great sense of humor, always will remember him.